Picture a single location where a homeless man could walk in and have a bevy of different services at his fingertips. He could apply for housing assistance, get employment advice and have experts help him apply for state benefits, food assistance and child care assistance. And he could get a physical or mental health care screening while he waited. "It's an idea that's been around and talked about with the social services community for the last 10 years," says Dawn Kinder, head of the city's Neighborhood and Business Services division. "Trying to get one place where somebody can come just one time and access those services." The creation of an integrated social service site is already a part of the mayor and City Council's strategic plan. This isn't just an aspirational idea on some city whiteboard: For several months the city has been meeting with a slew of different nonprofits. They've been talking with a designer from NAC Architecture about how to transform space in the city-owned downtown Intermodal Center into the new social service facility. Right now, the city is looking at launching the pilot site as early as late summer — depending on the construction schedule. But for some members of the Spokane City Council, there's a massive catch: the location. The Intermodal Center also contains a Greyhound bus depot that has, increasingly, become a civil liberty and immigration enforcement flashpoint. For years, armed Customs and Border Protection agents have regularly conducted sweeps at the station, asking bus patrons to show identification. Last year, border officials arrested dozens of Greyhound bus riders suspected of being unauthorized immigrants. "They're literally going through city property, walking onto Greyhound buses and asking people for people's status," City Council President Ben Stuckart said at a committee meeting last month. It's led Stuckart to not only worry that Border Patrol's presence could discourage vulnerable residents from taking advantage of a such facility, but to outright oppose the facility's creation until the problem is fixed. The notion of an integrated social service site isn't new to Spokane. 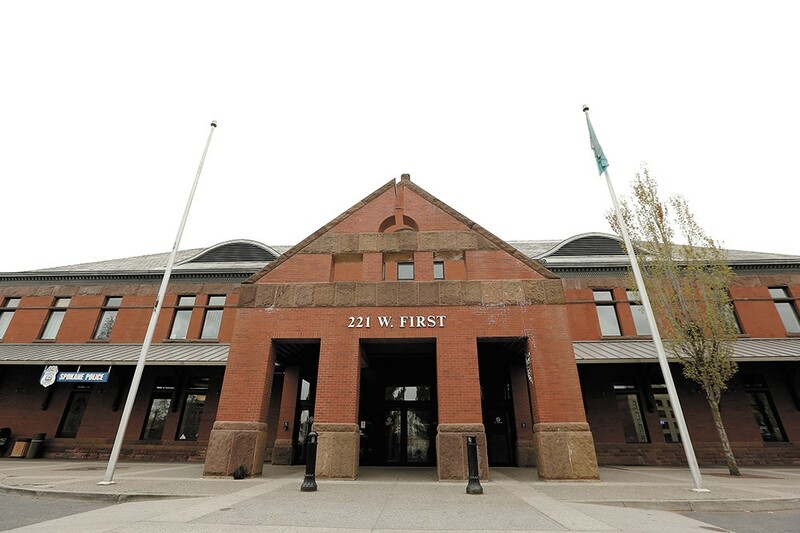 Back in 2013, the city of Spokane launched Community Court, a widely praised fusion of the city's judicial and social services systems. When people get arrested for, say, loitering, they go to Community Court once a week, where they're connected with resources to try to address their deeper needs. Increasingly, Kinder says, Community Court gained a reputation as a place you'd go if you needed help in general. "About 50 percent of the people who attend on Mondays are there without being required to be there," Kinder says. "They come to access services, without any mandate by police to force them to attend." The challenge for low-income residents isn't just the availability of services — it's the coordination. An assessment at Spokane Neighborhood Action Partners may refer you to an appointment for a medical services at a health care clinic two days later. But transportation and scheduling are huge barriers. "It's rare in that situation for somebody to follow up on that referral," Kinder says. "One of the great things about Spokane is that we have nonprofits who do what they're good at. [But] you may need to see three different agencies to have your needs best met." By contrast, at places like Next Generation Zone, run by Workforce Development Spokane, young people looking for jobs can get education, skills training and career resources all in the same spot. "We remove the artificial barriers, including complicated paperwork," says Dawn Karber, chief operating officer with Workforce Development Spokane. "One person can work with a professional at our location to quickly get access to all the services they would need." The city's partnering with the Workforce Development Council — as well as the Spokane Housing Authority, Career Path Services, CHAS Health and Volunteers of America — to design something similar for a broader array of needs at the proposed social service site. Initially, Kinder says, the site would have eight to 12 representatives from social service agencies. The city still hasn't decided which organizations would be sending employees to staff the new facility. But Kinder says she wants to make sure the facility focuses on providing actual care, not just administrative referrals. Either way, the Intermodal Center — which already houses the city's downtown police precinct — seemed like the perfect spot to do it: The city is already paying for rent and maintenance for the facility and the space is mostly vacant. "We want it to be a site that's welcoming and safe," says Tija Danzig, the city's homeless services program manager. "We want to make sure that it's accessible to anyone." And that's where things get tricky. The message, local Latino community activist Jennyfer Mesa says, has gone out across Facebook pages aimed at Latinos in Spokane: Avoid the Greyhound depot. "I won't go there," Mesa says. "I won't let my son go there." Mesa's a green card holder, and says her mother is a U.S. citizen. But she worries that the environment around immigration is too fraught to risk putting her status in peril by appearing at the Greyhound station. "My uncle was arrested in 2012 on the Greyhound bus," Mesa says. That time, it was in Georgia, she says — and he was detained for a week. Downtown Spokane is within 100 miles from the Canadian border, giving Border Patrol special leeway to ask people if they're U.S. citizens if they have reasonable suspicion they're here illegally. In fact, last year Border Patrol agents "took into custody at least 34 people after subjecting many more people to bus immigration checks in the Spokane area," according to a letter sent by the ACLU urging Greyhound to stop allowing Border Patrol to conduct raids on their buses. At a panel discussion last month with the ACLU, Stuckart says, most of the discussion centered on the bus depot controversy. Mesa, a member of the panel, argues the Border Patrol's actions haven't just affected unauthorized immigrants. "They're not only targeting undocumented people," Mesa says. "They're targeting people of color and racially targeting passengers." Kinder says the city is trying to specifically design the integrated services center to address those worries. "We're trying to create our own lobby space. Not have a shared lobby with the Greyhound passengers," Kinder says. "There's some security in that." Kinder says the city even looked at having an entirely separate entrance for the services center. That would be quite expensive, Kinder says, but the city would consider that if necessary if the pilot proves successful. But neither of those solutions satisfy Stuckart. After all, what assurances does Spokane have that Border Patrol won't just walk into the lobby of the social service center? Danzig says city staffers have already been researching the issue, and they want to speak with Border Patrol. "We have been contacted by the city," spokesman for Customs and Border Protection spokesman Jason Givens told the Inlander last Friday. "We're planning on meeting with them sometime in the next week or so." City Councilman Breean Beggs suggests the city could also make policy changes: At the more radical end of the spectrum, the city could look to King County, which recently passed an ordinance heavily limiting the city's interactions with immigration enforcement. The city could ban Border Patrol from even entering the center at all, Beggs argues, unless it has a warrant. Beggs insists his proposal still wouldn't technically make Spokane a "sanctuary city," but it would still represent the city taking a more defiant stance against an immigration enforcement agency. Meanwhile, few issues make Stuckart as passionate as immigration: Growing up, Stuckart attended a church that protected Central Americans who entered the United States illegally to flee persecution. The original print version of this article was headlined "One Stop"
Spokane's social services site will open next month with high expectations — can it meet them?